To get a good deal on a used car in the Seattle area this Holiday season. To do so, several things must fall into place at the same time. First, you need to locate a Used vehicle that meets your specific requirements, it should be priced to sell at a reliable dealer and the dealership should offer options for a variety of car loans in Auburn. In addition, you should review the extra costs that go along with this used car purchase, including fuel, repairs, maintenance and auto insurance. That is why it is very important to select a good independent auto dealer to do business with. The best way to know who you are dealing with is to read reviews from past customer of that auto dealer. Often customers review auto dealers after their purchase. This review are mostly reliable if you look at a reputable source like google or yelp. ▪ The down payment is the money you pay out-of-pocket when you begin the loan process. It is often a percentage of the purchase price. The larger the better. Sometimes you can trade in a vehicle and use the amount paid for it as a portion (or all) of your down payment. ▪ The loan term is the length of the loan and is typically 36-60 months or longer. ▪ The annual percentage rate or APR is the most critical factor when you finance. Getting the lowest possible APR is in your best interest. ▪ Finance charges are included in your loan. This is the money the lender charges to offer you financing. ▪ Extra fees and penalties, if any, are included in your contract. It is important to read the document very carefully and ask for an explanation of anything you do not completely understand. At Del Toro Auto Sales we know that you as a customer have many options as to where it can be purchased a used car in Auburn. This includes buying from an individual, a franchise or buying from an independent auto Dealer in Auburn like Del Toro Auto Sales. We take pride in our used cars for sale and alway try to please and get our customers exactly the used vehicle they are looking for or best meets their needs. Keep in mind that when you buy from an individual, in Auburn there is a risk factor higher than when purchasing from a auto dealer like Del Toro auto sales. A franchise dealer often does have more new autos but there is not a great deal of variety on used cars and you must typically have a high credit rating to qualify for financing. Buying form an independent dealer like Del Toro auto sales offers you several benefits. 1. We have an extensive and varied used car inventory. 2. There is a price range for every credit rating. 3. Used car warranties are available for some models. We recommend reading review and doing some online research before buying. This will give comparisons of independent dealers and franchises in Auburn, WA. You will almost always have a better experience at a family-owned small independent local car dealer in Auburn. But don’t take my word for it. Please take a look at our online reviews on google. This are real customers taking about their experiences buying a used car at Del Toro Auto Sales in Auburn. Del Toro Auto Sales has successfully served customers in the Auburn area for almost 15 years and as you can see on google reviews our excellent reputation speaks for itself. 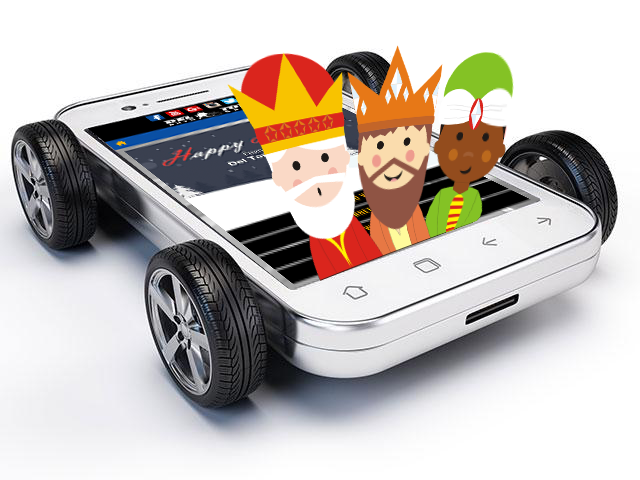 Gift yourself a new used car from Del Toro Auto Sales this Holidays. Don’t hesitate to reach our Vehicle specialists if you have any question about a used car in our inventory or if you have any financing questions at (888)324-2978. 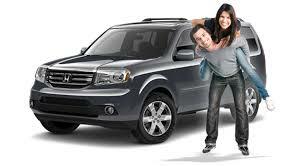 The best place to go for Used Car Financing in Auburn is Del Toro Auto Sales. Getting a used car is much less expensive than acquiring a new car, which is why it appeals to so many people. In addition, used cars can also offer great overall value depending on how old they are and how they have been maintained by their prior owners. You can get a used car that differs only slightly in overall value with a new car. We at Del Toro Auto Sales offer high quality, top performing used cars, and we will enable you to acquire them quite affordably through our used car loans. To get Used Car Financing in Auburn, all you have to do is come to our dealership and complete our simple auto loan application process. The first step of this process involves filling in an auto finance application form. The form requires you to fill in information like your name and contacts, your social security number, your driver's license, your date of birth, your monthly rent/mortgage and also your current income or salary. Our team will also ask you to provide information concerning any other financial obligations that you may have. After this, credit approval will be done quickly. 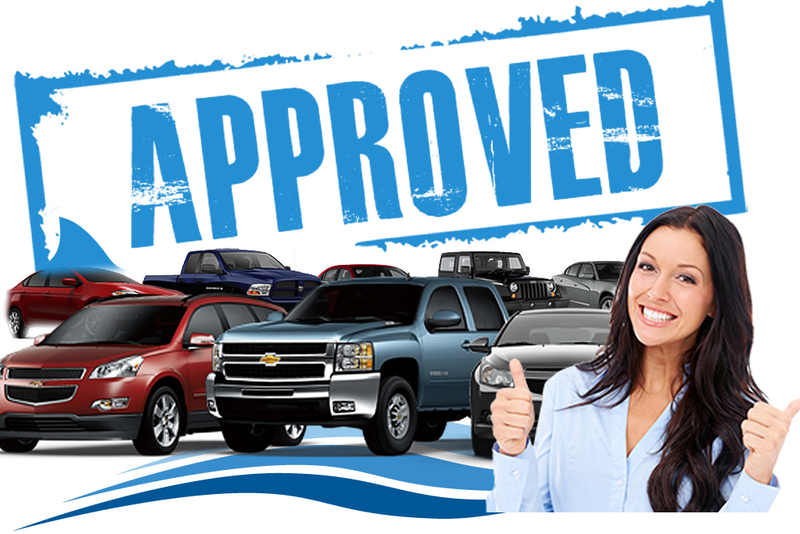 One of the things that will greatly please you when you come to Del Toro Auto Sales is the fact that we guarantee credit approval. 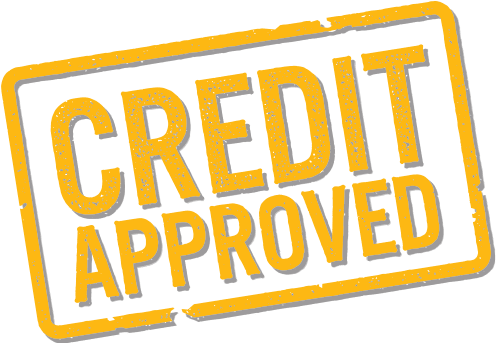 This means that even if your credit records had been tarnished by tough circumstances like repossession, divorce or bankruptcy, or even if you had bad credit, poor credit or no credit, we at Del Toro Auto Sales will still give you auto credit approval. The third step of the auto loan application process involves browsing through our wide selection of vehicles to find the one that you desire. Once you choose the car that you desire and the auto loan option for it, you will only have to pay a small down payment and the first monthly payment; after this, you will be allowed to drive off in the used car of your dreams. 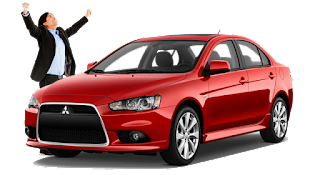 When you come to Del Toro Auto Sales for Used Car Financing in Auburn, you will also save a lot of money because our used cars come with significant Discounts .Getting Used Car Loans with No Credit in Seattle- Auburn- Tacoma is a lot easier than you might think if you talk to us at Del Toro Auto Sales. While it may seem near impossible to qualify for a loan with no credit, there are some simple strategies you can implement to easily acquire a loan, even if you have no credit. To begin with, start saving money as soon as you have decided that you want to purchase a used car and take out a loan. Secondly, find other documents related to your financial well-being that can help you document your ability to pay back a loan. For more helpful tips, and help getting the loan itself, talk to the professional team at Del Toro Auto Sales. If you are getting excited to purchase a used car, do not let something like the price tag or acquiring a loan dissuade you. The moment you decide to purchase a used car, you should begin saving any money you can. The larger down payment you put together, the easier it is for you to qualify for a loan, even with no credit. On top of that, you will have a lower total loss to interest, because the initial total money owed will be much lower. 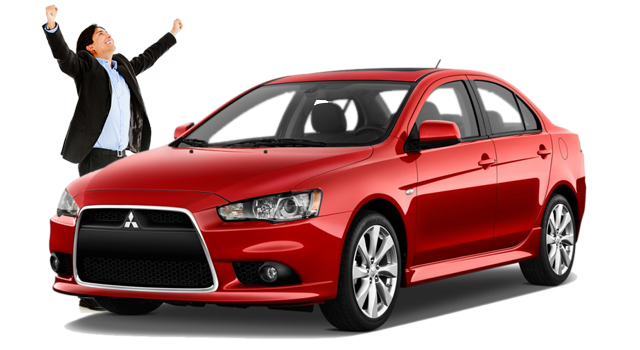 Getting Used Car Loans with No Credit in Auburn is much easier with every extra penny in the bank. Having great credit is not the only way to show that you are deserving of a loan. If you want to show a loan officer that you should receive a loan, simply bring in a bit of supplementary information to prove your case. Items like your most recent pay stubs, utility bills, and rent agreement, and even letters of reference can establish your financial responsibility in the eyes of a loan officer. 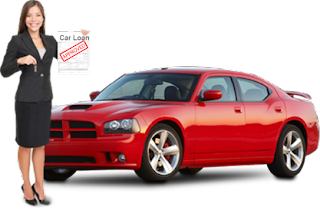 To get approved for Used Car Loans with No Credit in Auburn, bring in a few supporting documents and you will have your loan in no time. Qualifying for Used Car Loans with No Credit in Auburn is pretty simple: start saving and get a few papers together. Talk to the professional staff from Del Toro Auto Sales, who just loves helping folks qualify for loans. You can reach us on the phone at 888 324 2978, or come to our office in person at 415 Auburn Ave, Auburn, WA 98002. We love helping people get the financial assistance they need, so stop by today. Customers have lots of really good questions about used auto financing. We know — we’ve heard them in our store from many of the customers who choose to finance with us each year! Below are the 10 questions we hear most often from Del Toro Auto Sales customers about used car financing while they’re conducting their used car research. 10. 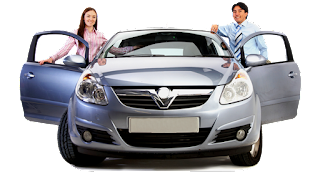 Does Del Toro Auto Sales offer auto financing? 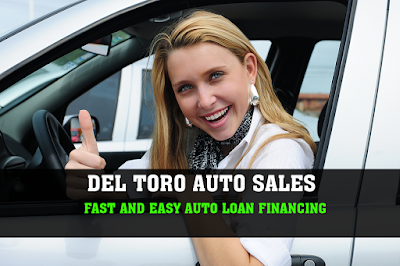 Yes, and financing at Del Toro Auto Sales is a quick and transparent process. Let’s say you’ve narrowed your search to a used Toyota or to a GMC. Now, how to pay for your final choice? Maybe you’ve got the cash in hand; if not, you can borrow the money to make your purchase. Nearly 8 of every 10 Del Toro Auto Sales customers finance their purchases through our dealership, who can deliver offers within minutes of your submitting an application. 9. 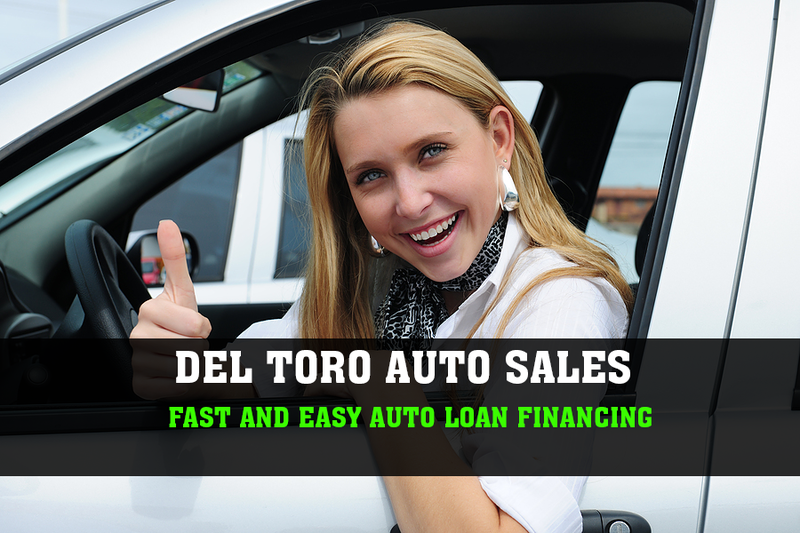 How does financing at Del Toro Auto Sales work? When you borrow money to buy a car or truck at Del Toro Auto Sales, it’s different from the way car loans work at traditional car dealerships. That’s because we aim to give every customer an honest, straightforward, and haggle-free experience. Our financing gives you choices, and puts you in the driver’s seat! You can bring your own financing when you visit us, too. Requesting financing terms on a used vehicle we sell is easy — just click on the link finance found on that vehicle’s Car Page and speak with a sales consultant about available financing options. 8. Can I get pre-qualified? Yes. This fast and easy process lets you choose how much you want to borrow based on the type of vehicle you’re looking for. If you’re interested in financing a purchase with Del Toro Auto Sales, visit us online to get pre-qualified. A Del Toro Auto Sales a associate will contact you to discuss any available financing options, including the amount you’re qualified to finance. 7. Can I get approved if I have bad or damaged credit? We successfully provide options to customers with many different credit profiles because we work with some of the country’s leading financial institutions, which improves your chances of getting approved. If you’d like to learn more about credit scores, check out our article about understanding credit ratings. 6. Do I need to make a down payment? A down payment isn’t a requirement for financing a purchase at Del Toro Auto Sales, but it mostly depends on the credit score and making a down payment matters. Making a down payment is always a good idea because it reduces the amount you’ll need to borrow. Any amount you choose to put down can improve your chances of approval and receiving better terms. No matter how much you decide to put down, you can also add any equity from the trade-in value of the car you drive now. Learn how to get your car or truck appraised here. 5. Can I finance through my bank or credit union? Yes, you can bring your own financing — you can visit Del Toro Auto Sales with a pre-approval letter, or we can provide you with a buyer’s order, plus the exact amount of financing you need to bring back to pay for your next used vehicle, including taxes and fees. And, if you do finance with Del Toro Auto Sales, you’ve got three business days to replace your financing with alternative financing at no cost. 4. Do you have a first-time buyers program? Yes we do. Many customers can qualify for financing without a prior vehicle purchase or a limited credit history. Our finance sources accommodate customers with a wide range of credit histories and profiles. 3. What finance companies do you work with? In addition to Del Toro Auto Sales, we work have great relationships with leading institutions in Washington State with the most competitive interest rates. These relationships help ensure a broad variety of financing options for our customers. 2. Why do a car’s age and miles affect my financing options? Financing companies may be unwilling to assign longer terms on some older vehicles. Newer vehicles can often get more competitive terms. However, for many Del Toro Auto Sales customers an older vehicle is a solid choice. It’s no surprise that higher-mileage cars and trucks carry more affordable price tags; and it’s also true that all Del Toro Auto Sales vehicles satisfy our rigorous renewal standards. 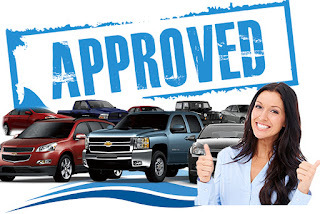 Most Del Toro Auto Sales used cars are eligible for financing and extended service plans. 1. What do I need to get pre-qualified and approved? All you need to complete the pre-qualification process is a strong idea of your budget and how much you’d like to finance, your contact information, your employment and income information, and information about a co-applicant, if you have one. Once you submit your application, we’ll be in touch quickly to discuss any financing offers available to you. If you need more information contact Del toro auto sales at 888.324.2978 or visit our website clicking here. Should you know your vehicle car history? In the past, when you got ready to buy a used vehicle, you had to trust that the previous owner fully disclosed its collision history and title status. Unfortunately, since used vehicles can have several or more previous owners, this verbal history could become faulty and imprecise, which might leave you in a bad situation within months of your purchase. The vehicle’s history can take a toll on its overall condition. At used cars for sales in Auburn, you can rely on the clear history documentation provided by CarFax report to help learn the history of a vehicle you’re considering for purchase. That’s because every vehicle Del Toro Auto sales sells comes with a free CarFax Vehicle History Report for used cars for sale in Auburn. Armed with this data, you can make a more informed purchase decision. It’s helpful to know how to get and read a free CarFax Vehicle History Report so you can make the best use of the information it contains. Here are some tips to get you started. 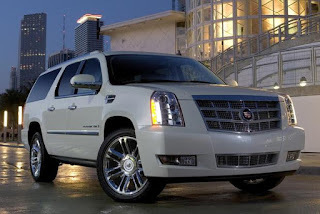 Let’s say you’re researching used 2007 CADILLAC ESCALATE. 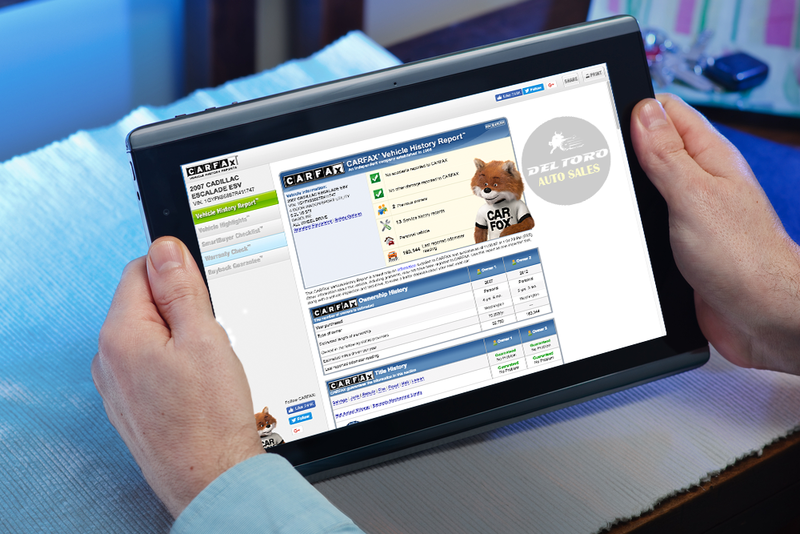 All of Del Toro’s vehicles come with CarFax reports (click under Free Vehicle History on individual vehicle pages on our deltoroautosales.com), so you can be aware of reported accidents, title issues, and odometer verification. You can print this report and keep it with your research for future reference. Understanding a vehicle’s history information will help determine whether that particular car is right for you. Collisions can damage the framework and moving parts of used vehicles, including vehicles with unibody construction. The Accident Check feature on your used car CarFax report reveals reported collisions, and since this data comes from over 10,000 distinct sources, many of which are not government and independent agencies, accidents left unreported to the police or insurance may not show up on the report. While no report is perfect, it can give you a better sense of a car’s history before you buy. The title verification section reflects the current status of the title and the cause of any change to its designation. After a serious collision or natural disaster, the insurance company may report the vehicle as totaled to state agencies. Repairing the damage does not fully restore the title to its prior state, and it will be reflected as “rebuilt” or “salvaged” on future reports. A rebuilt title can dramatically drop the vehicle’s value despite a lack of noticeable damage or defects. There are many other faults to consider as well while performing a title check, including water and fire damage. If the vehicle was used as a taxi, rental, or fleet vehicle, this information will show up in the Event Records section. We occasionally at used cars for sale Seattle, sell cars and trucks that were once used as rental and fleet vehicles. The detailed history section shows a paper trail of all the times a vehicle was bought and sold since new. This section indicates sale dates, locations, and event details that give you a fuller picture of that vehicle’s past. Beyond showing how many times the vehicle has changed hands and how far it has traveled, this section can reveal the potential for location-specific issues. If a vehicle spent most of its time in a snowy area, for instance, you may want to check the body, frame, and undercarriage for rust before making your purchase. If you find yourself agonizing over the choice between two similar vehicles, go ahead and compare the vehicle history reports to help you make your final decision. Vehicle problems may directly relate to the way the vehicle was used and cared for over the years, so don’t be afraid to rule out cars with marks on their record. If you’re buying a used vehicle from a private seller, ask to have it looked over by a licensed mechanic—preferably someone you know and trust. The seller may not be aware of problems that existed before they purchased it. Once you have a better idea about a car’s potential issues, you’ll better know what you’re getting into, rather than leaving the future to chance alone. It may not be possible for a used car’s complete history to be known, but CarFax vehicle reports on used cars Seattle can illuminate lots of a car’s background so that you can make a more informed choice. If you have any questions or would like to request a CarFax Vehicle report on any of Del Toro’s auto sales used cars, please contact us. 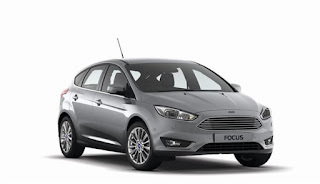 You can also check our website to see the used cars vehicle reports. Just like buying a car, selling a car is a big financial transaction. You may be familiar with Del Toro auto sales one of the best places to find a used vehicle in Auburn and buy used cars, but you can also count on us as an easy and convenient way to sell a car. We're here to help answer your questions and share some tips so you can sell your car with confidence. Here are the top 6 questions about selling a car that we've heard from customers like you. 1. I WANT TO SELL MY CAR. WHAT IS MY CAR WORTH? Many owners overestimate the condition and value of their car, so it's smart to do a little research. There are quite a few online resources that can provide you with general guidance and help you estimate how much you can get for your car. Keep in mind that when trading in your vehicle minor imperfections have little impact on our appraisal offer, but major defects like frame or flood damage do. 2. CAN I GET MORE MONEY FOR MY CAR IF I SELL IT MYSELF? There are pros and cons to selling your car yourself. Going through Craigslist or similar websites may get you more money for your car. But for many people, the amount of time it takes and the uncertainties of dealing with strangers make it simply not worth the hassle. Many of our customers come to Del Toro auto sale in Auburn for an appraisal as a starting point. You can get an appraisal from us and check with other auto dealer or buyers. we know customers may want to 'shop around' and compare other offers to ours and that's okay. 3. HOW CAN I INCREASE HOW MUCH I CAN GET FOR MY CAR? Getting last-minute maintenance or a thorough cosmetic detailing may help your car make a positive first impression on potential private buyers. To our appraisal team, however, the long-term maintenance and care of your car is what's most important. We also take in consideration if you will be buying a car from us. If you do the appraisal value may be higher than if we were to purchased your vehicle out right. Another key factor is your car's mileage. Keeping the miles low on any car is a great way to minimize depreciation impact over time. We like to see trade- ins with less than 100,000 miles but we will more than happy to take a look at any vehicle even if it has a lot of miles. What about after-market modifications and accessories - like a spoiler or a unique paint color? While these upgrades might make your car more distinctive, they may also limit your car's market appeal. However, certain upgrade packages that include options like leather seats and a Bluetooth connection may be beneficial when you're ready to sell. 4. IF I JUST GOT NEW BRAKES OR NEW TIRES. HOW DOES THAT AFFECT MY APPRAISAL OFFER? Depending on the type of vehicle, new wear-and-tear components like brakes and tires can be a plus. High-end luxury and sports cars are often equipped with specialty high-performance tires and brakes, which can be expensive to replace so having new brakes will help to get a higher appraisal. In some vehicle replacing the timing belt after 100,000 miles can give us more confidence to pay a little more for your vehicle as long as paperwork is provided to show the repairs. But keep in mind that this is not always the case. In some instances the average vehicle, by replacing these items may not significantly affect our appraisal offer. If you have any questions about your car's appraisal, your Del Toro Auto sales appraiser can provide you with a detailed explanation about the factors that influenced your offer. 5. CAN I NEGOTIATE IF I USE MY CAR AS A TRADE-IN? Like we mention before one key difference about Del Toro auto sales is that our appraisal offer may different if you were to purchase a used vehicle from us. That's not always the case but you can try to negotiate the fact that you will be buying a car from us to get more money for your trade. When you shop around for a dealer to buy your car, you have to be careful not to be tricked. You may be familiar with "flexible" trade-in values that are standard practice for many in the industry. Some dealerships will give you generous price for your old car, but not a fair price on the car you are about to purchase. It may mean you paid too much for your new used car. 6. WHAT DO I NEED TO BRING WITH ME TO SELL MY CAR TO DEL TORO AUTO SALES? Here are the requirements for selling your car . Contact Del Toro auto sales if you have any questions about what you need to bring with you. Once you've sold your car, don't forget to contact your insurance carrier to let them know. When you're ready to sell your car, Del Toro auto sales in Auburn is a great place to start. Please read our reviews online about how we treat our customer and how was their experience buying from Del Toro Auto Sales. We appraise many cars every year, and our goal is to make selling your car a quick and easy experience. ¿Cual es la mejor manera de comprar un carro? Usted tiene dos opciones: pagarlo todo o financiarlo para pagarlo con el transcurso del tiempo. La financiación aumenta el costo total del carro porque también está pagando el costo del crédito, incluyendo los intereses y otros gastos. También debe considerar cuánto dinero puede pagar como anticipo o adelanto, el monto de la cuota mensual, el término o período del financiamiento (por ejemplo, 48 meses), y la tasa porcentual anual o APR aplicable. Por lo general, las tasas de interés del financiamiento para carros usados son más altas que las de los préstamos para carros nuevos, y usualmente, los términos son más cortos. Los concesionarios y otras fuentes de financiamiento (tales como compañías de finanzas, uniones de crédito, o bancos) ofrecen una variedad de términos de financiamiento. Busque, compare y negocie el mejor trato posible. Si es la primera vez que compra un carro — o si su crédito no es muy bueno — tenga cuidado con los ofrecimientos especiales de financiación. Es posible que tenga que pagar un anticipo considerable y que le apliquen una tasa APR alta con mal crédito. Si usted acepta una financiación con una tasa de interés anual alta, podría estar tomando un gran riesgo y tardaría bastante en pagar su carro aparte de pagar altas cantidades en interés. •	Si decide vender el carro antes de que termine el tiempo del financiamiento, es posible que la suma que obtenga por la venta del carro sea más baja que lo que necesite para pagar el acuerdo de financiamiento. •	Si le embargan el carro, o si tiene un accidente que causa una pérdida total, tal vez tenga que pagar una suma grande de dinero para terminar de pagar la cantidad del acuerdo de financiamiento, incluso después de deducir el pago del seguro o la suma de dinero obtenida por la venta del carro. •	Si tiene un presupuesto ajustado, quizás tenga que considerar la posibilidad de comprar y pagar al contado un carro más económico que el que tenía previsto comprar. Esto podría ayudarle a ahorrarse bastante dinero cuando compra un carro en pagos. En Del Toro auto sales tenemos muchos años ayudando a la gente hispana a comprar carros usados en pagos. El interés depende de la situación de cada una y de su historial de crédito. Pero si le podemos garantizar que con más o menos enganche le podemos conseguir un prestamos para su próximo carro usados. Consulte totalmente gratis con uno de nuestros especialistas en prestamos para más preguntas. Tips and tools to help you plan for a used car purchase. Buying a car or truck is a big deal, financially. Like they say, it’s probably one of the biggest purchases you’ll make, after buying a home. And with sticker prices on today’s vehicles that can often exceed $20,000, it’s not a decision one can (or should) make lightly. At Del toro auto sales in Auburn we can help you, so you make a good decision. To be sure, the cost of parking a used car in your driveway calls for some solid, ahead-of-time planning and budgeting. The main question is, So how should you budget for a car purchase? These days, many people finance their car purchases. Some actually do buy a vehicle outright with cash, but by and large, customers opt to pay for their car or truck over time. This is called financing, and it’s a common way of paying for used cars. Many Del Toro auto sales customers make a down payment on a car at the time of purchase; they will then borrow the rest, often including the cost of taxes, fees, and pay this amount back over time. At Del toro auto sales we have a variety of prices starting at $2,999 and up. If you were to finance a used car with us we could put you in a under $10,000 car and your payments would be around the $200-300 a month on a short term loan. Meaning 24-36 months. But of course your credit score will play a big factor on the calculating the payment. The time you take now to plan for your next car or truck purchase is time well spent — it’s the smart thing to do! Whether you’re buying a car on a budget or not, here are some tips to help you plan. Arming yourself with knowledge about the process will help ensure you won’t feel intimidated when it’s time to make your purchase. And when you know how much you have to spend, you’ve got sturdy guardrails to help you stay on track. One of the best tools we offer customers on the hunt for a used car is an interactive calculator that helps you budget for a car purchase. Using it is easy. When you search our website, on each car if you scroll down you will automatically see the payment calculator. Just Plug in the term and what you think. Click a box to include estimated title cost, taxes, and fees for the state where you live. Plug in your estimate for an annual percentage rate on the amount you’ll finance. Finally, play with the size of the down payment you plan to make, and the period of time you’d like to repay the amount you finance. These numbers can help give you a ballpark estimation of how much you’ll need for your purchase and what your monthly payment could look like. Use it as much as you like – it’s free! We’re not financial advisors. But at Del toro auto sales, we share common tips with our customers, both to help them with budgeting and so they can make their purchase with less stress and more confidence. The more closely a customer sticks with these tips, the better chance they may have of getting competitive financing. 1. Set aside a reasonable portion of your pay. Many financial institutions suggest 15-20 percent of your gross monthly income as the amount you might spend for a car payment each month. You can use this guidance when you’re creating your budget and starting to shop. 2. Your down payment will affect your monthly payment. Want a smaller, more manageable monthly payment? The larger your down payment, the smaller your monthly payment will be. And, a larger down payment reduces the amount you’ll need to borrow. 3. Your credit is important. The stronger your credit profile, the better your chances of getting approved for more favorable credit terms. We can tell you about your credit, Click here for a quick credit check in less than 30 seconds. 4. Budget for the cost of ownership. A reality of car ownership is that used cars need regular attention beyond weekly fill-ups at the gas station. Fluids will need replacing. Tires will require rotation. Brake pads must be replaced. And typically, the more expensive the car you choose, the more you could pay in maintenance costs. Also, don’t forget to budget for gas, insurance, taxes, and, potentially, an extended service plan. We’ll address this further in a future installment on down payments. For now, though, if you plan to trade in the car or truck you’re driving today, Del toro auto sales can appraise it to give you an offer; the equity in your current Vehicle can be included in your budgeting for a down payment. If you own your vehicle (if it's paid off and you have the car's title in hand) you may be able to use your appraisal value as part of your down payment. If you’re still making payments, you may owe more or less than the appraisal value of your car. If you owe less, you can apply that amount toward your down payment. If you owe more, you may need to consider that amount when you’re budgeting for a used car. An appraisal can help you understand the role of your current car's value in your budget. So ask yourself: what makes the most sense for your needs — not just for now, but also for several years from now. Are you planning to start a family? If yes, two-seater convertible may not be the right purchase and your budgeting might be better directed toward a family car. 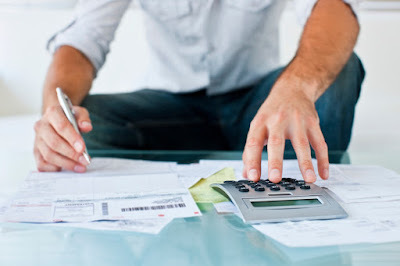 We at Del toro auto sales think that budgeting is an important part of shopping for, and buying, your next used car. Click here to get pre-qualified as part of your budgeting process. Here is some good advice for car buyers about how much money to put down. Are in the market for a used car or truck? If you are, you’re probably wondering about the smartest way to pay for it. How to finance a vehicle is one of the questions we hear most often from our customers. 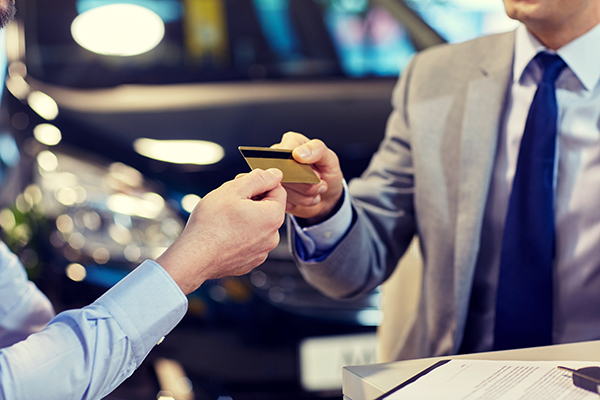 There are four main factors considered in an auto finance credit decision: your personal credit history, your application information, the vehicle you’re considering (its age, mileage, and price), and your down payment. In this article, we’ll help you understand the importance of a down payment. A down payment is the amount of cash or trade equity you pay up front when you finance a vehicle. The amount of money you put down affects the amount of your monthly payment. It could also help improve your financing offer, which could include a lower annual percentage rate. 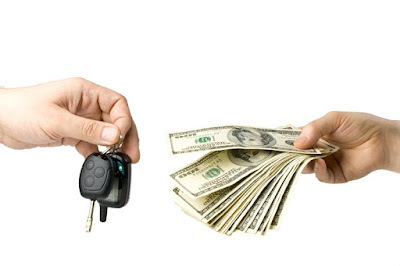 Del Toro auto sales customers often ask us about the average down payment on a car or truck. The short answer: the more you can comfortably put down, the better! Making even a small down payment — even $500 — is better than making no down payment. Putting down any amount as a down payment can improve your financing offer. Your down payment will reduce the amount you borrow, and your down payment amount could also lower your annual percentage rate and monthly payment. Banks like to see commitment towards the vehicle purchase so the more Down payment you have more money you will save in the long run. Del Toro auto sales offers its customers fair pricing in our vehicle, which means we don’t negotiate any part of the transaction with you. The money you put down goes directly toward lowering the amount you finance. No haggling, no games. We always make it super easy, you can see our google customer reviews and read some of our customers experience with Del Toro auto sales. If you’re not sure how much you can afford to put down, you can talk to one of out finance specialist and they will figured out for you the best posible scenario, plus other variables so you can estimate a vehicle finance budget that makes the most sense for you. Some customers don’t know they can use the equity they have in their current car or truck as part of their down payment, and they don’t consider this when they’re budgeting for their next vehicle. In addition to putting cash down, you could add the trade-in value of the car you drive now — that is, if you’re ready to sell it. Learn how to get your car or truck appraised here. You can also use your tax refund as a way to make a down payment. The larger your down payment, the less likely you’ll be “upside down” — this can happen when you owe more on your car than its value at the time of sale or trade-in. This is also known as negative equity. If you don’t have the funds for a down payment at the time of purchase, don’t be discouraged about buying a used car. At Del Toro auto sales we work with a number of different finance sources that can provide a variety of financing options. 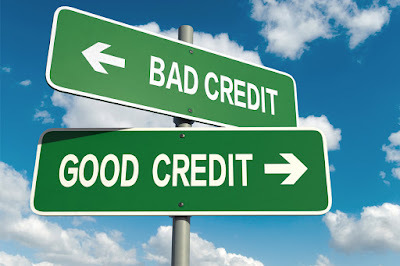 Wether you have good credit, bad creditor no credit at all we can help you get financed. Obviously the more down payment you have the better, specially is you have challenging credit. Want to learn more about financing with Del toro auto sales in Auburn for your next used car or truck? Contact us on our website or by phone calling 888-324-2978. Easily accommodate seven passengers in the Dodge Caravan. Available in five trims, this Dodge minivan boasts a 283-horsepower V6 engine in every trim and delivers smooth shifting action and adequate power. Its competent suspension, weighted steering, electronic stability control traction, and four-wheel anti-lock disc brakes are also standard and enhance comfort and control. Base amenities on each trim option on latest years include keyless remote entry, power sliding doors, Stow ‘n Go seating, and front and rear air conditioning. Standard steering-wheel-mounted audio system controls and hidden storage bins as well as an optional towing package improve this minivan’s functionality and versatility. 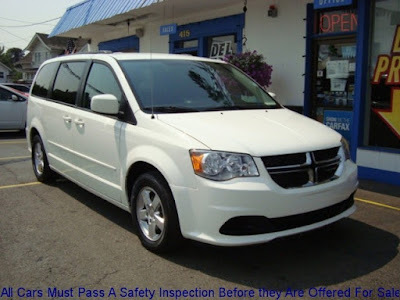 We have two Dodge caravans at Del toro auto sales that you can test drive at anytime. See more on the links below. Known as a multipurpose vehicle, the Kia Sedona and its five trims offer a value-oriented option for consumers. While the Kia Sedona looks more like an SUV than a traditional minivan, it seats seven or eight depending on which trim you purchase. Additional user-friendly options on all trims on later year models include the rearview camera, an AM/FM/CD/satellite audio system, and Slide-n-Stow seats. Drivers and passengers can also appreciate the minivan’s noise suppression, which creates a quiet cabin. The smooth ride and quick, deliberate maneuvering are standard features on all trims and stem from the minivan’s electric power-steering system and 276 horsepower, 3.3L V6 engine. Overall, this model compares favorably to other minivans and continues to be a smart selection for consumers. 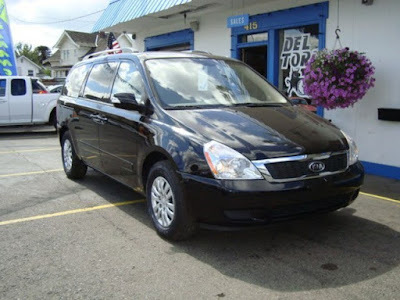 We also have two of the kia Sedona's LX for sale at Del toro auto sales in Auburn. Please see more details on the links below. 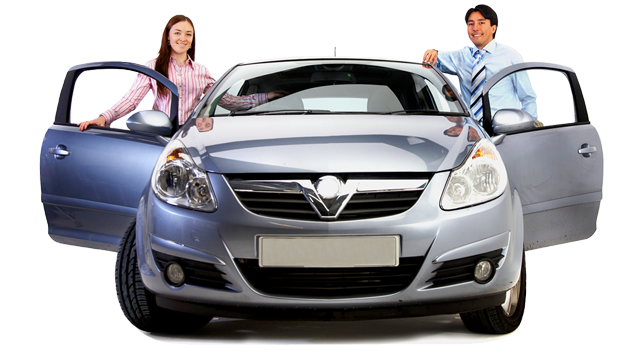 At Del toro auto sales we offer great finance options for first time buyers or customers with challenged credit. Call us at Del Toro auto auto sales at 888-324-2978 or apply here for a super fast credit approval. Also you can check out our use vehicle inventory here. If you are among the millions of those with a low credit score, we want you to know that you can find help here at Del toro Auto Sales in Auburn. 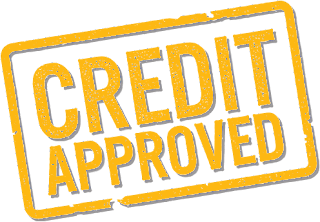 We have been and we will continue to make it a mission to approve all types of credit applications because we know how important it is to have reliable transportation when you need it. 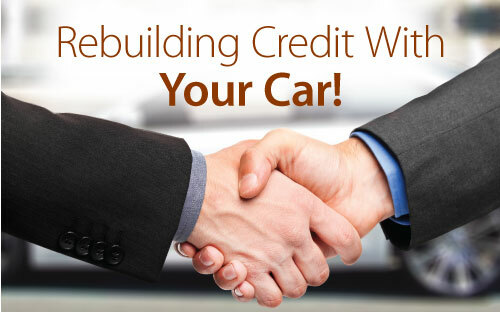 We have been helping customers rebuild their credit in auburn for more than 15 years at Del toro auto sales. 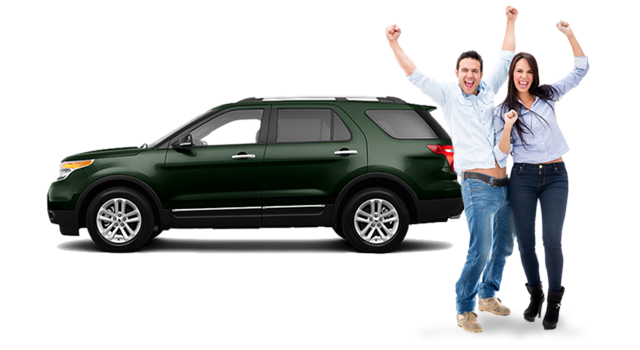 If you have a home and steady income, we can help you to find the best Credit Rebuilding Car Loans with Bad Credit in Auburn. 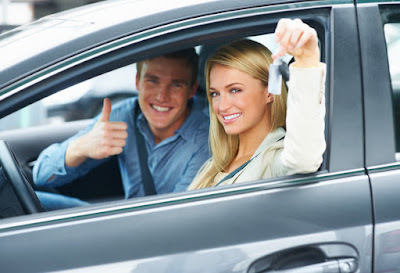 With auto loans that help you to rebuild your credit, you will soon be able to find an easy approval everywhere you go.We work with customers that just had a difficult time in their lives or customers that recently had a discharged BK. No matter what your situation is we car help! How does Bad Credit Impact you? If you have made mistakes in the past that have adversely affected your credit, then you may have come to understand what this can mean for your everyday life. For starters you will pay more interest won anything you purchase on credit, which will make your payment higher. With a low credit score and things like repossessions or a bankruptcy, you will find getting approval for a loan or a line of credit difficult, but not impossible. For this reason is important you talk to profesional that can help you get back on track. 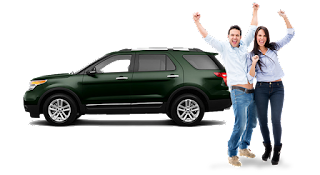 Once you have raised your credit score with one of our Credit Rebuilding Car Loans with Bad Credit in Auburn, you will find a whole new world opened to you. You will get better rate and be able to afford nicer things at a much lower payment. You will then be able to look forward to a home loan approval or a high-limit credit card as well. Financial experts will be the first to tell you that making payments on time on a used car loan is one of the best ways to improve your credit. 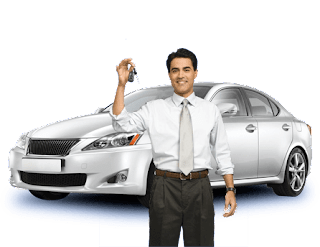 Not only will your monthly payments be small, but you have an excellent chance of getting approval for this loan at Del Toro auto Auto Sales, though you may not be approved elsewhere. Getting approved for our Credit Rebuilding Car Loans with Bad Credit in Auburn is as simple as filling out a short Finance Application. It is available to everyone on our website and within minutes we will have an answer for you. Whether you have a car or a pickup truck in mind or are simply looking to see what you can afford, let us know how we can best help you. Take a look at our online inventory at Deltoroautosales.com and see for yourself the quality and variety you will get to choose from. We also have a large variety of cars under 10K. If you see something you like, we recommend you come down to our car dealership in Auburn and take a closer look. We advice you that you test drive any car you are interested in and compare a few before buying. Del Toro Auto Sales in Auburn can be found at 415 Auburn Ave in Auburn, WA. We are ready to provide you with excellent customer service any day of the week. We are open daily and just a drive away from Federal Way, Sumner and Bonney Lake, Burien, Tacoma, Kent and Seattle. In conclusion, if you are looking for rebuild your credit or find a great buy on a used vehicle, we at Del Toro Auto Sales are at your service. To apply for credit please click here. Looking for a used car on a budget? Check out these stylish sedans and hatchbacks at Del toro auto sales website. When it’s time to select your ideal used vehicle, you’ve got a lot of options to choose from. Del toro auto sales in Auburn can help you narrow your choices with this helpful list of used car for sale in Auburn that cost less than $15,000*. You can check out the vehicles on this list and identify the characteristics and features that will fit your driving style, favorite activities, style preferences, and budget. Be aware that upper trim configurations may bring the prices of some of these vehicles over $15,000. With no further ado, here are 9 used sedans and hatchbacks you can find for less than $15,000. has offered customers a budget-friendly blend of comfort and features. You can drive a used Toyota Prius for sale equipped with the latest entertainment goodies, including Toyota’s Entune® infotainment setup, which transforms this car into a multimedia powerhouse. Although the Toyota Prius LE’s 1.5L engine won’t pin your ears back in the horsepower department, its output supports the tiny build of this five-door hatchback. 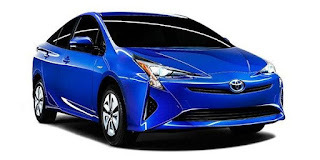 Customers love the great gas mileage, too (like an estimated** 54 city/50 hwy for the Toyota Prius). 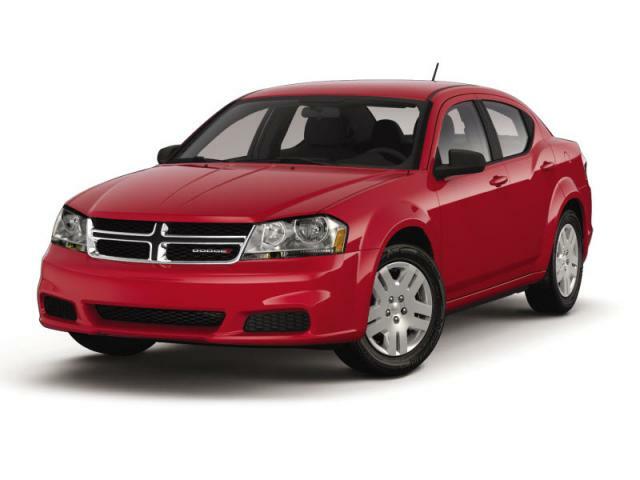 The Dodge Avenger took a page from the Charger’s playbook to create a powerful combination of style and performance. This mid-sized sedan comes in nearly a dozen different trim levels to give you a chance to customize your ride to your liking. At the upper trim levels, a used Dodge Avenger for sale like the 2012 Dodge Avenger SE features a powerful, 283-horsepower 3.6L Pentastar V6 engine and a six-speed automatic transmission. Other trim levels come equipped with one of six four-cylinder or V6 engine configurations that produce up to 200 horsepower. The MyGig® entertainment system and speakers at every corner will expertly blast your tunes or podcasts. With its flashy styling, nimble ride, and peppy performance, the Ford Focus has long been a favorite with budget-minded Del Toro auto sales customers. Despite its relatively low average price, the spirited build of the used Ford Focus for sale reflects the Focus’s motorsports heritage. The Focus is available as a two-door coupe and a five-door hatchback. A car like the 2013 Ford Focus SE won’t punch a big hole in your wallet, and it will give you features like Bluetooth®, traction control, and a rearview camera. 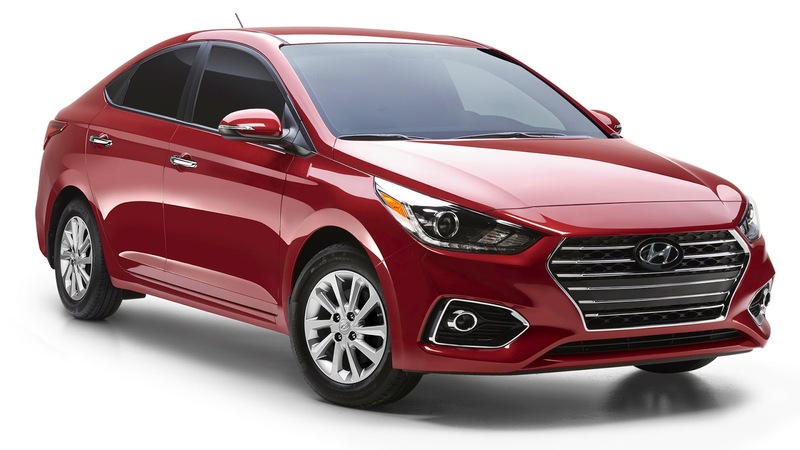 In the sub-compact car market, the Hyundai Accent is well-known for its well-balanced, durable build and lower price tag. When you look for a used Hyundai Accent for sale, you’ll notice three- and five-door hatchbacks, four-door sedans, and two-door coupes. All of these body styles come equipped with either the 1.3L, 1.4L, or 1.5L four-cylinder engine options, with either a four-speed automatic or five-speed manual transmission. 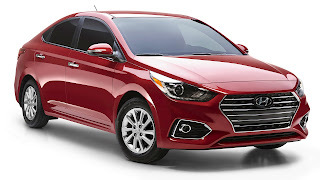 The Accent is pretty good on gas, too; a 2014 Hyundai Accent, for example, with the 1.6L four-cylinder engine and automatic transmission, delivers an estimated** 26 city/36 hwy mpg. The Accent’s exterior styling has changed markedly across all four generations, so you can choose the configuration that looks and feels the best to you. 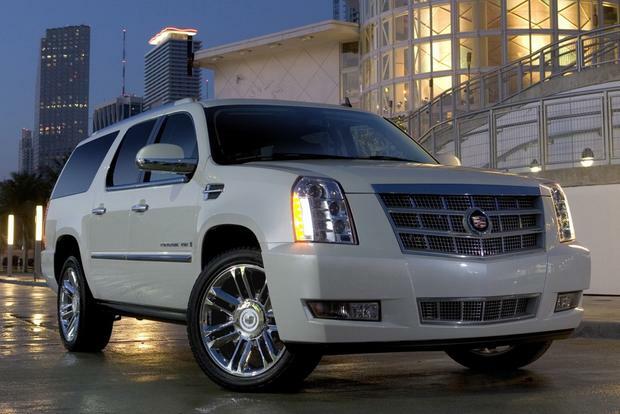 Interior touches include a six-speaker stereo, heated mirrors, air conditioning system, and remote power locks. With its smart interior and exterior styling cues and a performance-minded drivetrain, the Kia Forte is out to make a splash in the compact car market. 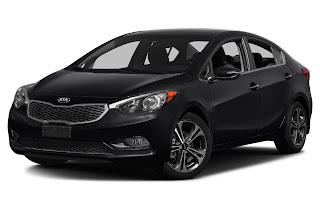 With a quick search, you can find a used Kia Forte for sale in coupe, sedan, and hatchback configurations. The 186-horsepower, 1.6L turbo four-cylinder engine that you’ll find in the 2015 Kia Forte LX can give you peppy bursts of speed, plus an estimated** 22 city/29 hwy mpg. The heated front and rear seats (and cooled front seats!) found in the 2014 Forte EX will keep you and your passengers comfortable during long drives. And swooping body lines and optional 18-inch alloy wheels make the Kia Forte look as sporty as it feels. The muted styling of the used Nissan Versa for sale defies its ability to impress. The four-door sedan configuration and broad exterior styling cues hint at its utilitarian roots. The Versa can keep its poise through lots of weather conditions thanks to its wide stance, anti-lock brakes, and firm suspension. Its tall stature creates an impressive amount of headroom, though this characteristic also slightly increases body roll through the corners. The Versa can also give you a lot of fuel efficiency (an estimated** 31 city/40 hwy mpg for a 2015 Nissan Versa S Plus) at a relatively low average price. Compact but flashy, the 2008 Nissan Versa aims to please drivers and passengers alike with its unique list of bells and whistles. This five-door hatchback competently handles spirited road trips and long stop-and-go commutes without complaint. 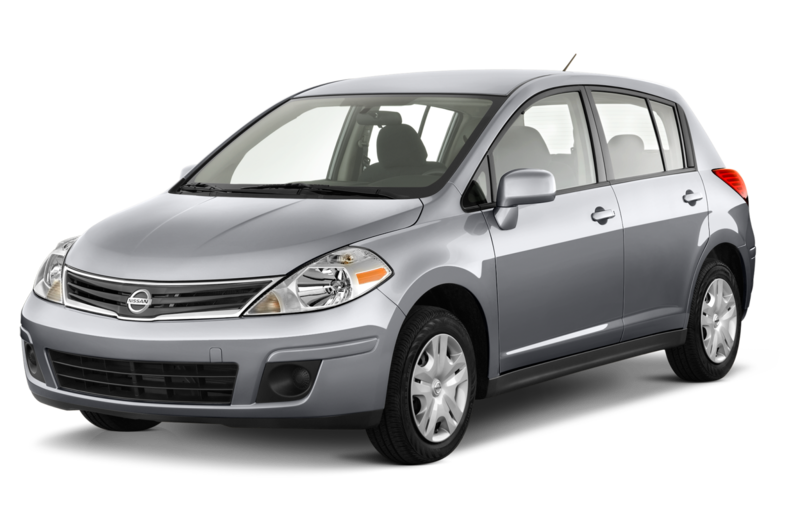 The 1.6L, four-cylinder engine, as found in the 2008 Nissan Versa sedan, delivers an estimated** mpg of 31 city/30 hwy. The continuously variable transmission (CVT), is available in some models and works to select the proper gear for each driving situation. Power windows and high-quality interior accents are available on the S Plus and SV trim levels. Every used Nissan Versa Sedan for sale you find will have the styling, in and out, that gives this car its unique appeal. 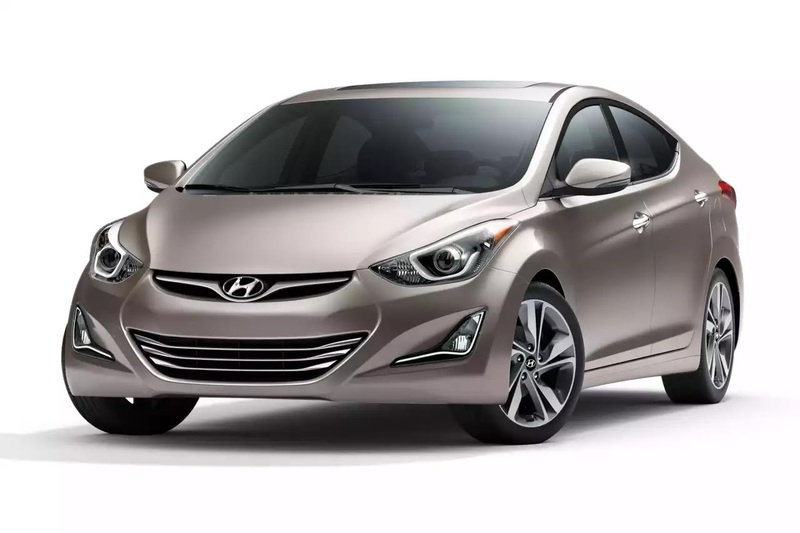 The Hyundai Elantra has transformed into a sharp-looking sedan with an animated personality since its introduction as a basic, four-door family car in the early 1990s. The used Hyundai Elantra for sale really came to life in its later generations through the inclusion of features like a 2L, 173-hp four-cylinder engine and six-speed manual gearbox. You’ll find this arrangement in the 2016 Hyundai Elantra Sport. The lines of the fifth design generation are swoopy, while the interior quality of all six generations is aimed to please drivers and passengers alike. Each trim package offers different appearance and performance specs to help drivers select the configuration that suits them. For a spirited drive and a dash of elegance, the 2011 Nissan Sentra easily hits the mark. With seven generations of designs to choose from, and multiple facelifts in between, this vehicle can appeal to nearly all coupe and sedan enthusiasts. The well-balanced build offers a blend of performance, comfort, and style. At the SE-R trim level, you can find a used 2011 Nissan Sentra for sale like the 2007 Sentra SE-R, which is equipped with the highly-capable 2L, four-cylinder engine that’s good for 200 horsepower and 180 lb ft of torque. The continuously variable transmission (CVT) and manual transmission options available on some models will give you a strong feeling of control as you pilot this vehicle on long and short trips. If you don't see a car that you may want to buy in this article, feel free to contact us at Del toro auto sale in Auburn. One of our sale representatives will be more than happy to help you find the car you are looking for. 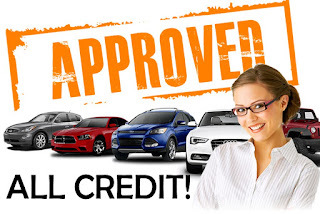 We also offer many used car financing options all types of credit situations. 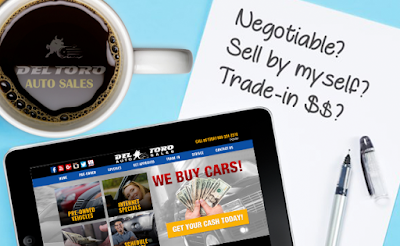 You can call at 888.3242978 or visit Del Toro auto sales website for more questions on used cars or vehicle details. ¿Qué debo de tomar en consideración al comprar un carro usado? Hay una debilidad en la compra de un carro usado. Si tu optas por comprarlo a una persona particular, la persona no puede realizar una inspección minuciosa al vehículo. En algunos casos, la contratación de un mecánico es una buena opción. El experto puede ayudarles a inspeccionar el estado del coche. Eso significa que tienen que gastar más dinero para la ayuda de un mecánico. Sin embargo, pueden tener una mejor oportunidad de encontrar coches usados en Del Toro Auto Sales Seattle. Comprar un buen coche usado puede ahorrarle mucho dinero al largo plazo. Se debe a que los compradores pueden evitar los costos de reparación. Del toro auto sales en Seattle ofrece coches certificados por lo general. Algunos de nuestros carros incluyen una garantía. Es importante pedir la información antes de comprar. Muchos concesionarios utilizan el mismo método para certificar los coches. Esto significa que no todos los coches están cubiertos con él. En general, los compradores deben pasar mucho tiempo investigando. No deben tener prisa cuando se trata de comprar un carro usado.Si no quieres tener una decepción presta mucha atención a los detalles. Este es el error más grande que cualquier comprador debería evitar. Para más información de como comprar un carro usado en el area de Seattle, no dudes en ponerte en contacto con Del toro auto sales.